Drying Time: For through drying and over coating about 12 -14 hours, however this depends on thickness of putty applied and local climatic conditions. 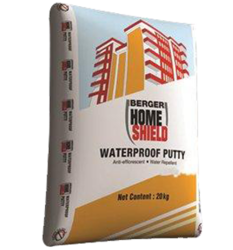 We are a top notch supplier of Berger Wall Putty. We are engaged in offering Berger Wall Putty. Our company has been successful in winning appreciation from the clients as one of the most prominent names in the trading of Berger Wall Putty. A fine Teak Oil with a golden colour that revives teak. Ideal for indoor and outdoor use on garden furniture and boats. 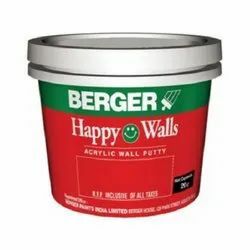 We are a top-notch organization, engaged in providing Berger Wall Putty. A durable putty used in the building trade for use on expansion joints & large live cracks. The putty can also be used in pools to stop leakages.